The Royal Cancun opened in February 2007 and is Real Resorts flagship property. 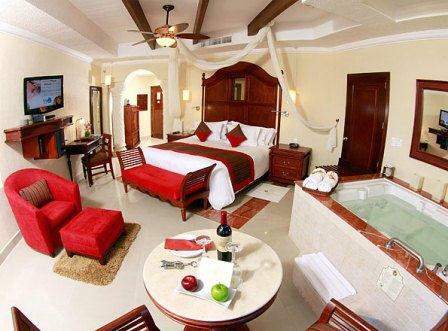 This Luxurious adult only resort is located in the heart of Cancun’s Hotel Zone. The Royal is an all-suite resort where guests will experience a truly ‘Royal’ escape designed to provide a joyful ambiance of casual elegance. 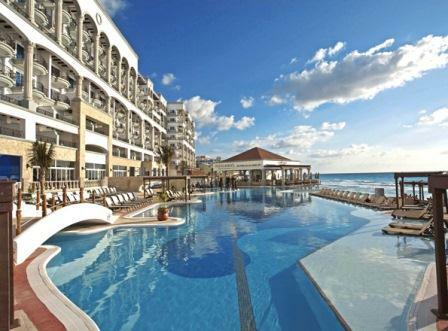 The Royal has consistently been rated one of Cancun’s best adult only resorts since it opened. 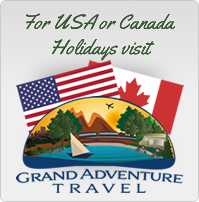 If you come looking for the world’s best resort this may not be it. 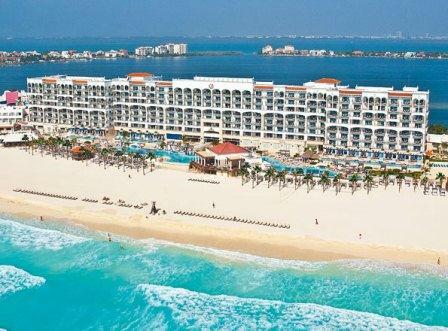 But it is amongst the best All Inclusive resorts in Cancun. Note that the adult age here is 16 and up so you will find teens here. The Royal is located in the Hotel Zone in Cancun approximately 25 minutes from the airport. The Royal has 288 spacious and elegant Suites each with an impressive entrance foyer, handcrafted mahogany furniture, a wide terrace, an in-suite double Jacuzzi, a Magic Box for discreet room service, and spacious modern marble bathrooms with luxurious features. There is complimentary luggage unpacking by professional Royal Butler on request and evening turndown service. 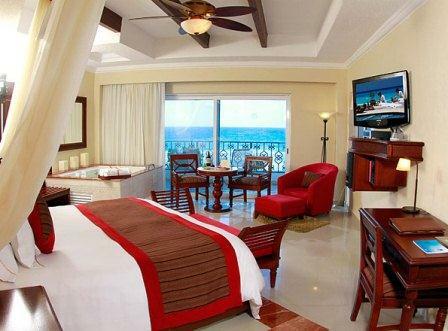 Royal Junior Suites are spacious and elegant with Ocean View, and are located on lower floors. These have an in-suite double Jacuzzi & a furnished terrace or balcony with hammock. Royal Junior Suites Ocean View are as above and located on upper floors offering breathtaking Caribbean unobstructed ocean views. Royal Junior Suites Oceanfront are premium location oceanfront suites, and also come with complimentary unlimited golf green fees (transportation not included), a gourmet Nespresso coffee system and a one-hour per stay complimentary BMW Mini Cooper test drive. Royal Corner Suites Oceanfront have a large wrap-around balcony offering magnificent ocean views in two different directions. Each has an exclusive suite-designated Royal Beach Cabana, Bvlgari luxury bath amenities and a unique in-suite steam shower with ocean view. These also have complimentary unlimited golf green fees (transportation not included), a gourmet Nespresso coffee system and a one-hour per stay complimentary BMW Mini Cooper test drive. Royal Master Suites Swim-Up Beachfront – are located at the pool/beach level – best resort location & Cancun’s first ultra-romantic, premium, split-level suite. These offer romantic ambiance with the luxury of a semiprivate pool with two comfortable in-pool wet chaise lounges right outside the terrace. They have an expanded living area, enhanced mini-bar, star-gazing telescope, desk and snack bar. These also have complimentary unlimited golf green fees (transportation not included), a gourmet Nespresso coffee system and a one-hour per stay complimentary BMW Mini Cooper test drive. Royal Presidential One-Bedroom Suites Oceanfront – these are the ultimate Cancun suites, Premium penthouse floor location with magnificent views of the Caribbean. These have a spacious living/dining room area, a separate extra large bedroom, a Marble bathroom with steam shower and glamorous “Cinderella” vanity corner, a fully stocked bar and kitchenette and an expanded terrace area with comfortable patio furniture & hammock. Royal Coffee house – a gourmet European-style cafe serving premium espresso and cappuccino drinks with a wide variety of scrumptious pastries, desserts and ice cream. Enjoy a casual, light breakfast or mid-morning coffee pick-me-up. High Tea offered daily on the cafes sunset terrace, or indulge your after-dinner craving for a delectable sweet. For those with special dietary needs, sugar-free choices are available. Open from early morning until late night. 24 Hour All Inclusive VIP Lounge – an ideal place to relax and treat yourself to hors d’oeuvres, premium snacks and International brand drinks; enjoy a friendly table game or watch your favourite sporting events on large Plasma screen TVs. Tapas & Pintxos – Spanish tapas restaurant, offering a trendy and relaxing gourmet tasting experience from Northern Spain and the Basque region. Asiana – contemporary gourmet Asian fusion cuisine with always popular Teppanyaki spectacular Asian way of show cooking; stylish, romantic setting with cosy seating, glorious sunset views and romantic garden setting ensuring an intimate dining experience. Maria Marie – upscale gourmet Mexican-French fusion cuisine. Mexican hacienda-like dining experience complete with colourful murals painted by Mexican artists, evoking memories of Mexico’s rich heritage. Chef’s Plate – gourmet international haute cuisine where a new and different dinner menu is carefully selected each day and artfully prepared at the discretion of the Executive Chef. Every meal a unique and memorable gourmet-dining event. Dinner. Available from Royal Junior Suite Oceanfront categories & up (reservation required). 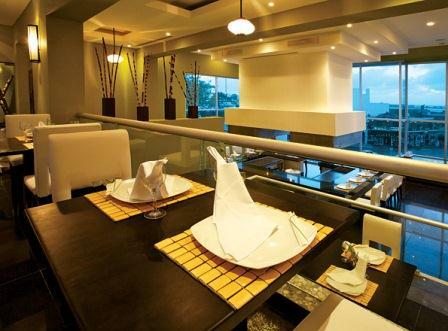 Spice – all day nouvelle ocean view fine dining with sumptuous buffets, show cooking stations and a la carte menu. 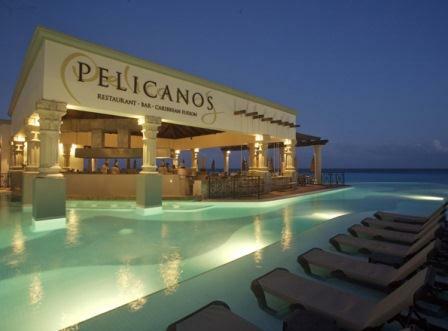 Pelicanos – delicious a la carte gourmet Caribbean fusion seafood in an oceanfront setting by the infinity pool overlooking white powdery beach and turquoise Caribbean. Trade Winds Swim-up Bar – snacks & light fare while sunbathing. Tequileria & Cigar Club – offers a wide selection of authentic world-renowned Mexican tequilas, after dinner drinks and hand-rolled and imported cigars worthy of the most discriminating aficionado (cigars & some tequilas at surcharge). Lobby Bar – overlooking the turquoise Caribbean and magnificent infinity pool with live music nightly. Serving a variety of international drinks from beer to fine wine, champagne, premium spirits and liquors to the best cocktails, with plasma TVs and unique hanging bed lounges. Martini Corner Bar – serving some of the finest martinis and other popular drinks favoured by guests from around the world. Wine Corner Bar – enjoy a glass of great wine plus wine-tasting samples from our extensive wine collection. For the true connoisseur, a vintage wine list is available at extra charge. There are eight bars and also 8 additional restaurants available next door at Panama Jack Gran Caribe. Certain surcharges apply on certain menu items.